Do you find yourself eating out more than you would like? Spending a fortune at the grocery store and you still have to run to the store mid week? Do you buy too many groceries and end up throwing out food? We used to spend $400 a month eating out on top of $500 a month grocery shopping for 2 people. 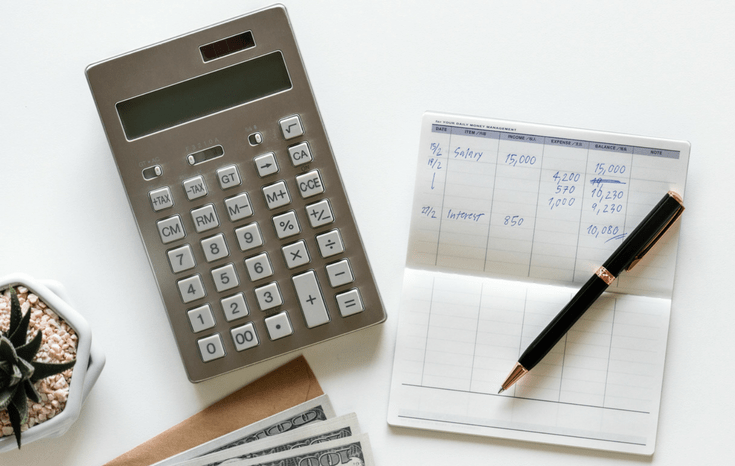 When I became a stay at home mom, we had to reduce our spending and this was one category I was determined to tackle. (You can read all about how we transitioned to a one income family here). Now we spend $500 a month for a family of four and only eat out on special occasions. When we do eat out, we use our fun money to treat ourselves. 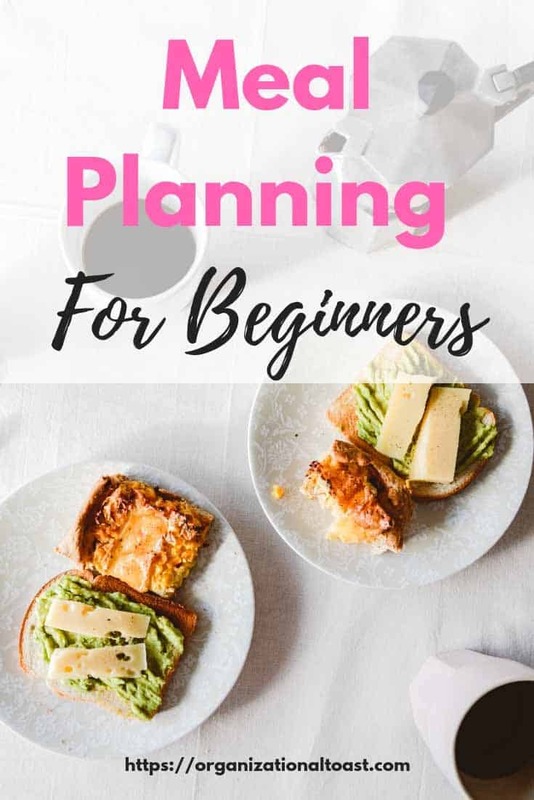 Download the Meal Planning Guide for Beginners to get started! 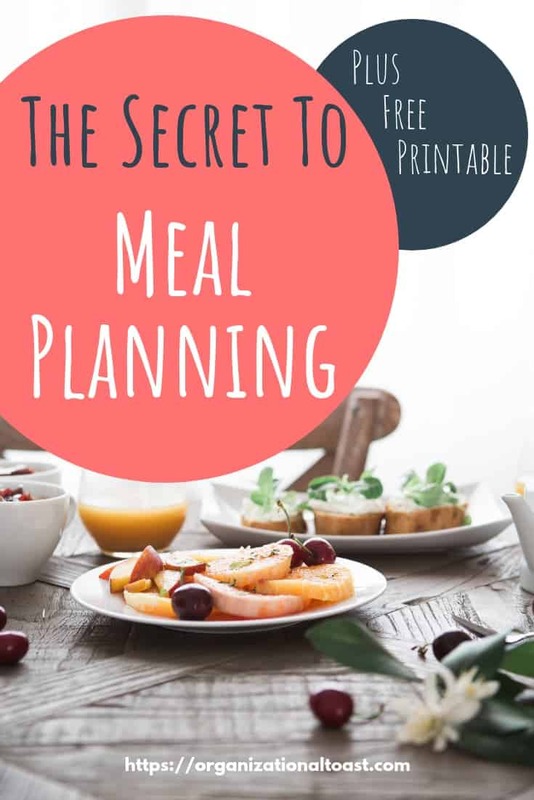 Meal planning is a great tool for families and individuals that want to reduce their overall grocery budget and limit the amount of money they spend on eating out. But coming up with a meal plan is not the end all and be all to fixing this area of your budget. It takes commitment and determination to stick to your meal plan. 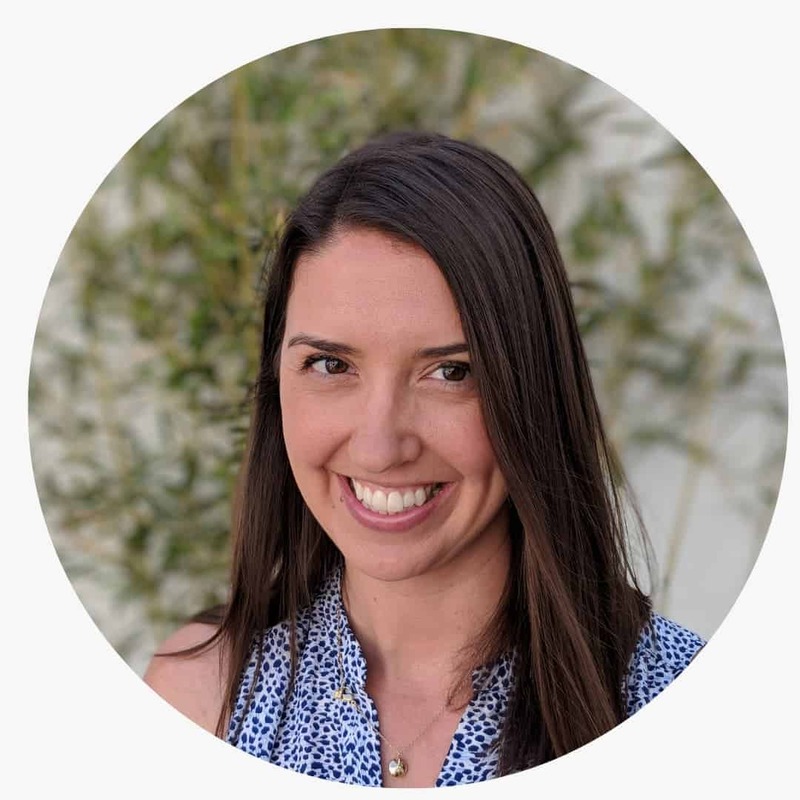 In the beginning, I found sticking to my meal plan extremely challenging and I always ended up buying items at the grocery store “just in case”. I also ended up throwing out a lot of food because I didn’t use it. As if that wasn’t bad enough, there were times when I slipped into take out mode because I couldn’t be bothered to cook, even when we had a fridge full of food. But I was determined to reduce our grocery budget. Over time, I developed certain techniques and tricks that kept me on track that turned meal planning into a successful budget tool for our family. 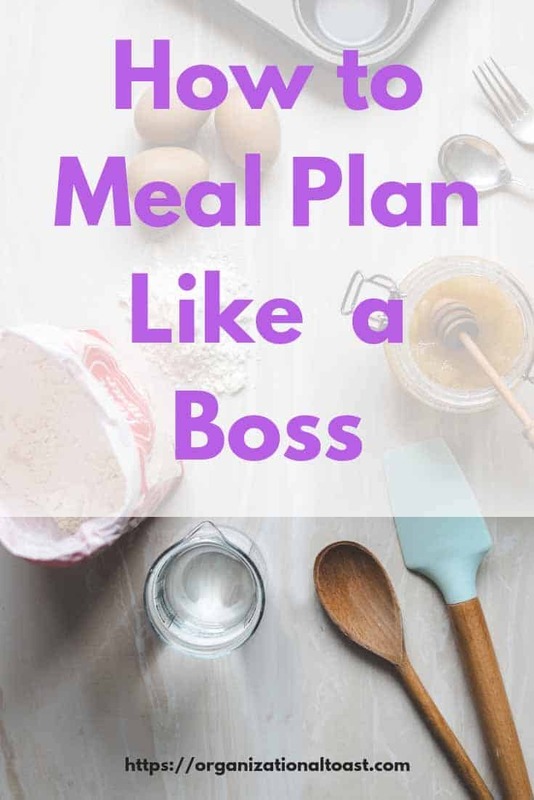 The tips I’m sharing with you will set you on the road to meal planning success and help you stay on track with your meal plan. If you are new to meal planning, or coming back to it after mediocre results, just know that it will be a learning process. Just like any new skill, it takes practice and patience. But don’t worry! Not only will the tips below help you to create a simple meal plan, but they will set you up for meal planning success. 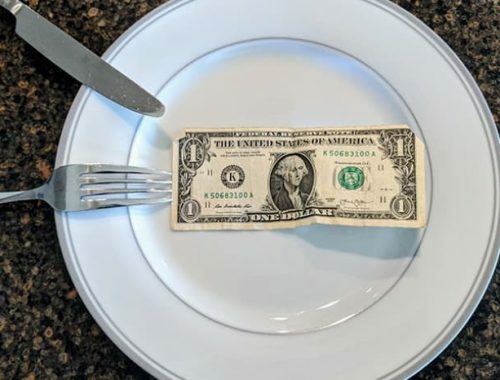 You will cut your spending at the grocery store and on eating out! Start by downloading the Meal Planning Guide for Beginners. It includes everything you need to get started with meal planning. Make a list of all the meals you know how to cook or the meals you know your family will eat. When you first start meal planning it’s good to stick with what you know. This is not to say that you shouldn’t try new recipes. If you are not a great cook, don’t worry! Your meal plan does not have to include meals that are super complicated with fancy side dishes. A meal can be as simple as grilled cheese sandwiches with soup. Next to the meal, write down all the ingredients you need for that meal. Include any seasoning etc. If it helps you to write out the whole recipe you can also do that. I have an ingredient list written on mine just for reference. This makes it easier when I make my shopping list. I have a list of about 10-15 recipes that everyone in the family will eat. I rotate them, and some of these meals we have every week. When you get started just remember the most important part of creating your go to meal list is to stick with what you know. What do you have going on this week? Does your kid have a double header baseball game and you won’t be home until late? Are you going to a BBQ on the weekend? Take this into account and mark these events on your meal plan calendar. This way, you won’t plan to make a complicated meal on a busy weeknight. Again, try not to over complicate things. Keep breakfast and lunch simple with quick or ready made options. Some simple breakfasts could be bagels, oatmeal, cereal, or yogurt. Simple lunches might include sandwiches, homemade lunchables, or leftovers. Look at your master list of meals from step 1 and start adding it to your meal planning calendar taking into consideration what is happening that day. For that double header game day you might keep it simple with grilled cheese, or make a double batch of chilli the night before. I want you to really focus on these first 5 steps and master them. Find what works and what doesn’t. If you make mistakes, don’t give up on meal planning! Everyone makes mistakes in the beginning. Remember, there is always a new week and you can and will get better with practice. Here are a few of my favorite meal planning tips beginners tips that will help you stay on track. Having the menu up on your refrigerator will help you to stay on track and also let your family know exactly what they will be having each day. This will also serve as a reminder of your goal. Give yourself a check mark or smiley face for each meal you stick to on your meal plan as a way to keep motivated! 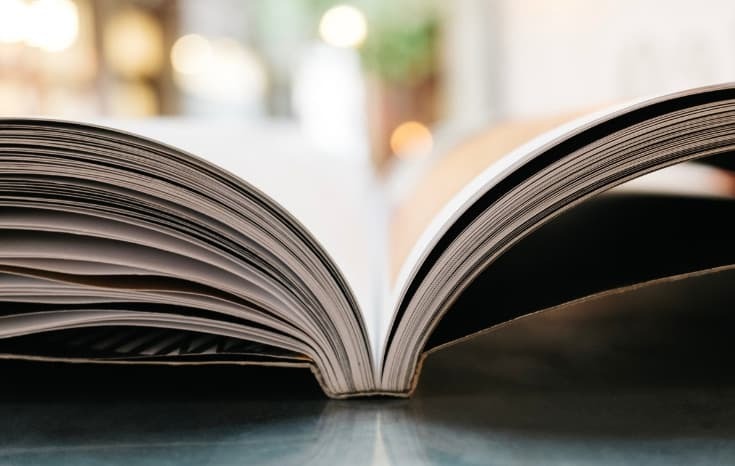 You can incorporate your children in the meal planning process by showing them (or telling them if they can’t read yet) your master meal plan list. Let them pick one or two of their favorites. You might ask “Do you want homemade pizzas or tacos?” Getting your family involved in the meal planning process will help them to understand and appreciate the change. 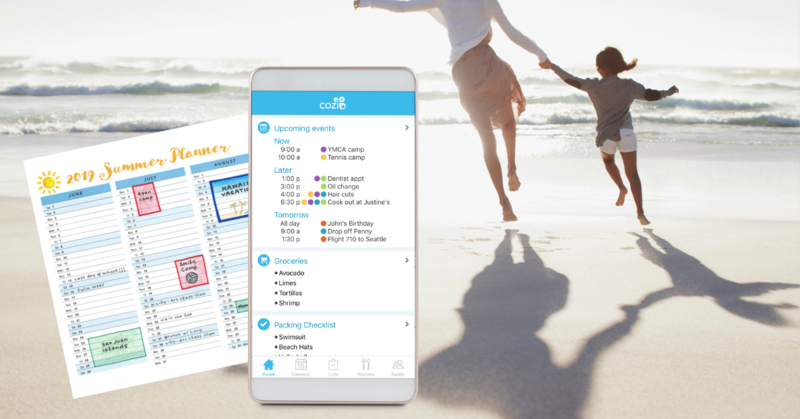 You’ve put all that work into creating a meal plan and grocery list, so why not take it with you! Having these two on hand will help to keep you focused at the grocery store and limit impulse buys. I usually take a picture of my grocery list and my meal plan with my phone so when I go to the grocery store I can remind myself of exactly what I have planned out for the week. If you are good at remembering paper lists, by all means bring the paper list. For me, I forget the list at home, in the car, or lose it completely more often than I would like to admit. Taking a picture of my list has saved me countless times! Once you have mastered the 5 basic steps you can start incorporating some of these other techniques to help take your meal planning to the next level. If I plan to have rice twice a week, the first meal I make with rice I make a double batch. Anytime I can reduce work for myself, I am in. Or, I will make a big batch of a side dish, like pasta salad, and we will have that as our side dish for lunch and dinner for 3 days. You won’t have to worry about throwing out leftovers, because your meal plan incorporates your big batches. You can check what is on sale at your local grocery store and plan your meals around the sales. Chicken might be on sale, so plan to make several meals with chicken. If your budget allows, stock up for the next week, too. You need to learn how I earn cash back on groceries. Do the bulk of your cooking one day a week. This might include pre-chopping veggies, putting together some crockpot dump recipes, or simply pre-making a whole bunch of food. This might include grilling 2 days worth of chicken or making a huge batch of macaroni and cheese for the week. You can have themed days for your meal plan. Examples include: Meatless Monday, Taco Tuesday, New Recipe Friday etc. I know many people who find having themed days a time saver that takes a lot of guess work out of meal planning. If you want to have greater variety in your meal plan and experiment with great recipes eMeals is the place to go. 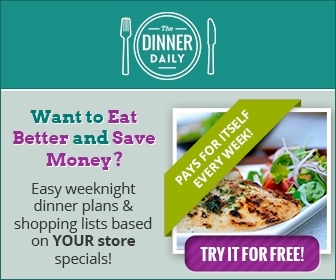 Each week you’ll get a recipe based on the menu plan you select (Family, Paleo, Vegan etc). Along with the recipe you will get a grocery list. You can also order your groceries from Walmart via the app and use their grocery pickup service. Meal Planning is a great budget tool you can use to reduce your spending at the grocery store and reduce your spending on eating out. Don’t forget to Download the Meal Planning Guide for Beginners to get started! I definitely need to get better at meal planning. It saves so much money when I take the time to do it! It definitely takes some effort to meal plan but starting out simple helps! I need to give meal planning another try. I appreciate how you broke it down into easy steps. I’m doing some planning before my next trip to the grocery store. Thanks! Hi Denise! I gave up on meal planning quite a few times before I finally got the hang of it. I hope these easy steps will help you with your meal planning! This is great! Im hoping to meal plan after our vacation this week. Thanks for the tips! I find it so helpful to have a list of meals I know how to make. The list reminds me that I really do have a ton of options. I also like your suggestion to fix simple meals on busy nights. All great suggestions! Hi Andrea. Making a master list of meals made a huge difference for me when I started meal planning. Having those options right in front of me made it so much easier to fill my weekly meal plan! This is extremely helpful. I am looking to start meal planning at the beginning of September, so thanks for the tips. Hi Kristen! I’m so glad you found this helpful. This is my big goal for our family right now, because our eating can get out of control, and I’m a SAHM too. Now I have a kid in school and we are a ministry family so life is BUSY. We have lived off rotessire chicken for weeks so I didn’t end up picking up fast food I would regret later. These tips are awesome and I am so excited to save this post and refer back to it! Hi Ally! Rotisserie chickens are definitely a life saver for busy families! 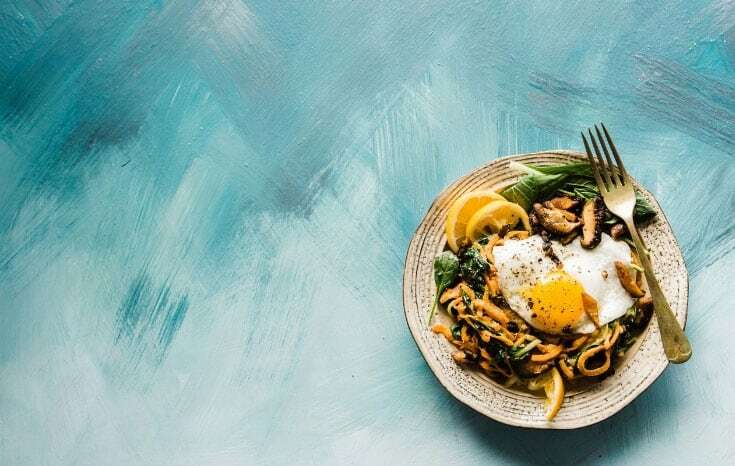 I think you’ll find meal planning will take a lot of stress off your plate (no pun intended) and you will have a bit more variety at dinner time! My husband and I have been meal prepping for about 2 years now, and WOW! We save so much money because we’re never eating out, I love it! Meal prep for life! I’m with you! Meal planning has been such a saving grace for our budget and we have saved tons of money because we aren’t eating out anymore! Hi Dawn! Let me know how your meal planning goes!